is everyone ready for christmas?! we are only TWELVE days away from the best day of the year. how is december half over though, seriously. before i get into the full holiday spirit i have a huge birthday to celebrate friday, justin turns thirty (i mean 29, again)!!!! while a lot of celebratory dinners out are in order, first i am going to take him to the cheesecake factory after some last minute holiday shopping because he has never been nor heard of such a place (WHAT? crazy, i know). then we have quite a few fancy restaurants to try out in our new town. it will be very different from last year's birthday in toronto. but enough about that & more about this holiday cocktail! the only thing just as important as baking cookies this month (stay tuned for those) is the cocktails! 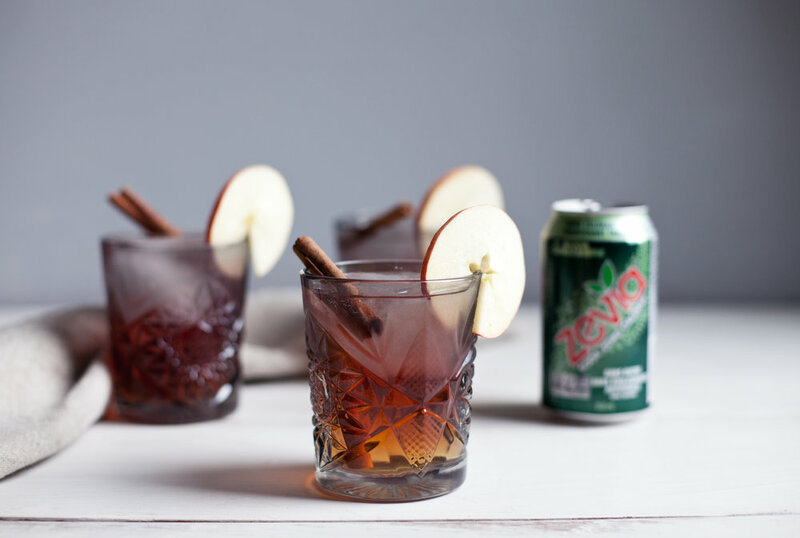 every party needs a signature drink so today i have teamed up with zevia to make a lighter, healthier cocktail that will help get you through the holidays (you can take that statement however you please). i used pure fruit juices & added the fizz with zevia's ginger ale. zevia is a zero calorie soda made with natural ingredients & natural sweeteners like stevia. 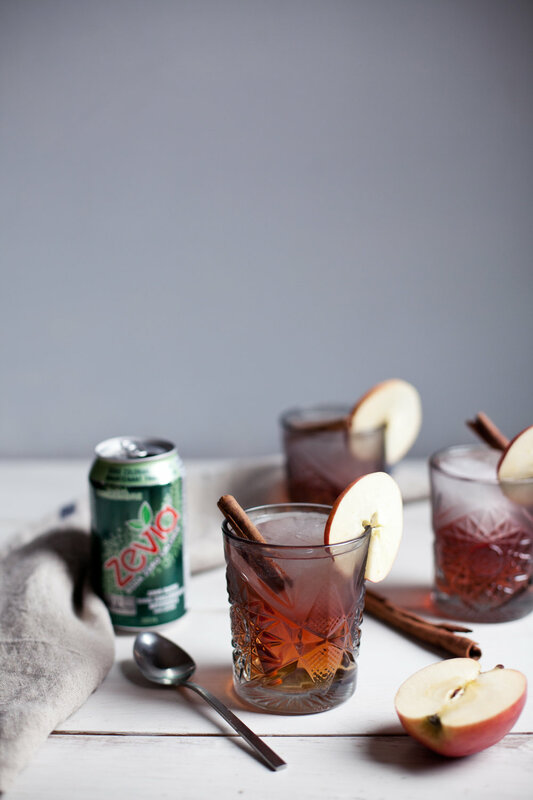 nothing pairs better then the flavours of cider, cranberry, cinnamon & ginger! while i used a clear rum, this drink will work with just about any clear liquor. i will be sharing a fun new years cocktail next! but first stay tuned for some not so traditional christmas cookies. 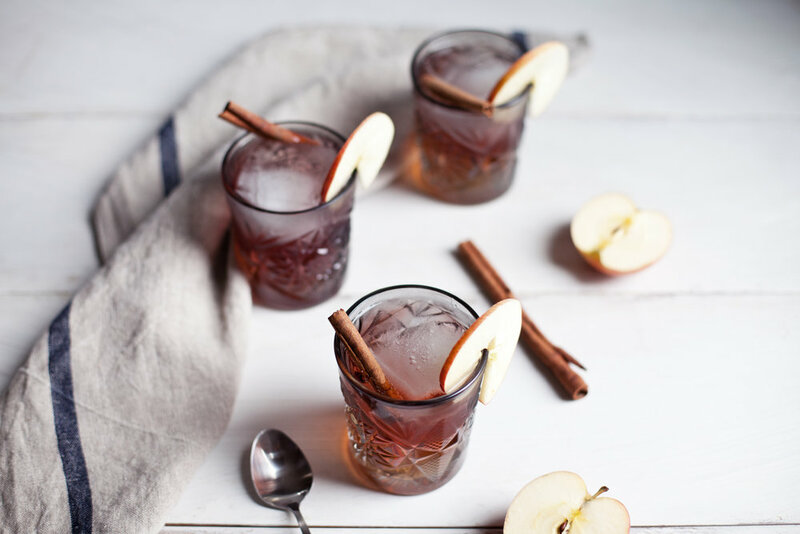 in a cocktail shaker add rum, cranberry uice, apple cider, gingerale, cinnamon & ice. shake well! 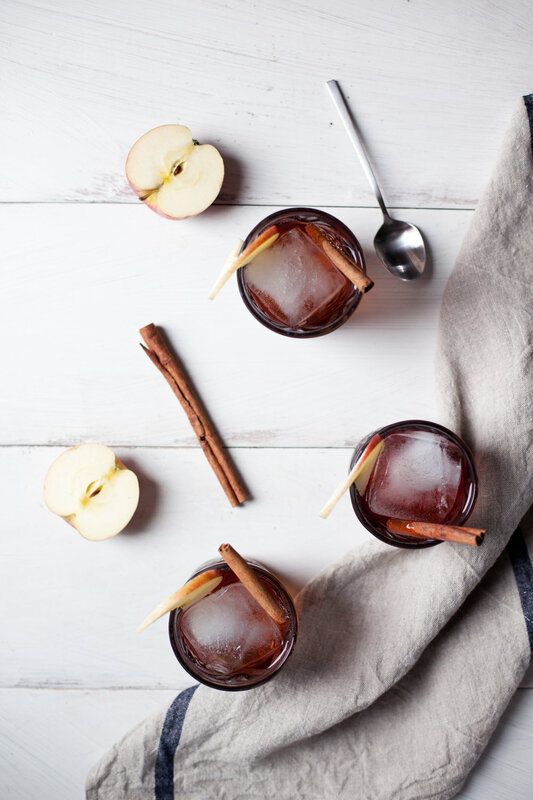 pour into desired cocktail glass, add fresh ice & garnish with a cinnamon stick + apple slice.